New FCC regulation's vague language to turn what you legally own and use for all lawful purposes today, into something that makes you a criminal next month - be advised. Your low cost HAM radio is now considered a fully semi-auto, with an antenna lug, high capacity detachable battery, in tacticool black! This is not anything really new, it's just the FCC reminding everyone what the rules are with these. Actual enforcement by the FCC is going to be tricky, due to a huge lack of field engineers and equipment. Some time ago I heard from the former chief of our local Amateur Radio Emcomm Team, himself an FCC engineer (not a field engineer though), that there were only three such field engineers covering the entire United States. That may well have changed but I tend to doubt it considering how sadly underfunded the FCC enforcement division actually is. This PDF probably represents a significant chunk of their budget in terms of manhours needed to create it, verify it, edit it, approve it, getting IT to add it to the website, and actually distribute it. It likely took the better part of a year for that process to happen. However, regardless of how much effort the FCC puts into enforcement on this, illegal is illegal and ZS rules on posts and threads containing such things will be enforced. Yeah, I know this makes me unpopular with some members because of my rather zealous enforcement of such rules (sometimes in error, admittedly) but a mod's gotta do what a mod's gotta do and I'm the closest thing to a comms expert as we have on the mod team at the moment so it falls to me to do it. We had to go encrypted not long ago because idiots were stepping all over the emergency channels with hoaxes. It was a shame because before that anyone could listen in and keep up with current events. Yep, only takes a couple of assholes to mess it up for everyone. Are you saying I posted something against ZS rules? Or that after October, posting anything about Chinese import radios will be against the rules? Is this another vague regulation enacted by a low budget, appointed authority? You're right though of course, not new. How many years have Chinese import radios been sold in the USA? How many years have HAMs been regulated to operate within certain frequencies? How many years has this been a problem? What is new is that lots of existing equipment being used legally, will now be illegal. 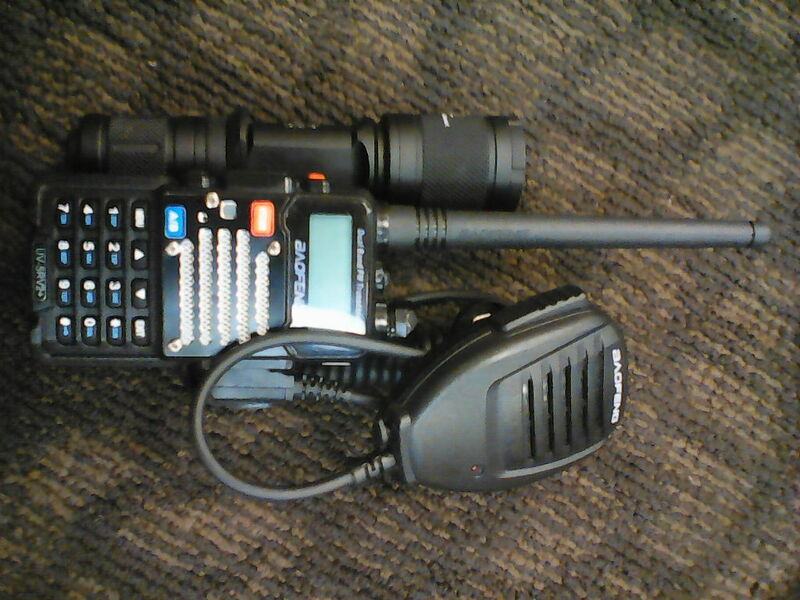 And I'm not even sure this is a thing anyhow because my Baofeng is listed as FCC part 90 Compliant and has an FCC-ID. There is a paragraph in DA 18-980 that says the radio must either be FCC complaint OR only operate within the specific bands for HAM. I was hoping for some clarification on that. So if its marked part 90 compliant does that mean its 100% FCC compliant under FCC DA 18-980 since the words FCC compliant are marked on the radio? And does 'operates solely' mean its capabilities of operation are limited by design, or it's actual use for TX is limited by the operator? It's just not clear. F for effort though. That's our FCC for ya, clear as mud, though they do get credit from me for the attempt. I have a feeling we're going to have to wait a bit and see how FCC interprets their own rules via enforcement actions before we can get a good read on what the language is intended to mean.